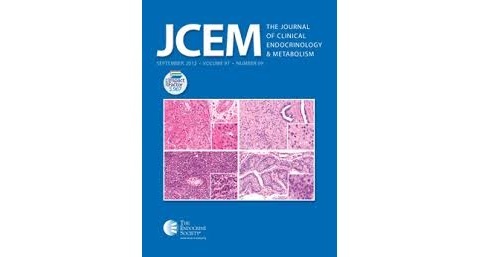 A recent paper of Dr. Jazdzewski’s team, „In-Depth Characterization of the MicroRNA Transcriptome in Normal Thyroid and Papillary Thyroid Carcinoma”, published in the June issue of the Journal of Clinical Endocrinology and Metabolism (June 19, 2013 jc.2013-1214), is the first comprehensive analysis of the miRNome the thyroid gland and its aberrances in papillary thyroid carcinoma. The study showed that from over 2500 known (reference) human miRNAs, only 427 are significantly expressed in the thyroid gland, and 124 of those miRNAs are deregulated in cancer tissue. The analysis was performed using next-generation sequencing what allowed for identification of novel, previously unknown isoforms of known microRNAs. The study revealed that the length of numerous isoforms varies at their 5’ end, what results in a change of a miRNA seed region, which is responsible for recognition of target mRNA and for regulation of its expression. In consequence, newly discovered length isoforms constitute alternative microRNAs that target and regulate different genes than their canonical, reference counterparts. Since a single miRNA can regulate numerous target genes, the aberrances in sequence and expression of microRNAs, shown in this study, can significantly contribute to understanding of the mechanisms leading to aberrances in cellular transcriptome and proteome, underlying initiation and progression of papillary thyroid carcinoma. What should be underlined, the information on microRNAs whose expression is strongly deregulated in papillary thyroid carcinoma can be used for elucidation of specific diagnostic, prognostic and therapeutic tools for thyroid cancer. The authors of the paper: Michał Swierniak, Anna Wojcicka, Małgorzata Czetwertynska, Elzbieta Stachlewska, Monika Maciag, Wieslaw Wiechno, Barbara Gornicka, Magdalena Bogdanska, Lukasz Koperski, Albert de la Chapelle and Krystian Jazdzewski.